Over the last few weeks the Institute of Geography has hosted Prof. Dominic Stead from TU Delft as a Visiting Professor. 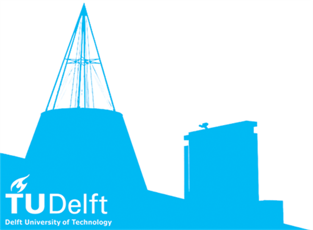 Not only are there strong academic links between the universities in Delft and Erlangen on urban and regional development issues, there are also some interesting similarities between the two cities. One of the most striking of these is that both cities are growth poles in their respective countries where the universities and other knowledge industries are key economic sectors that are shaping local and regional development. For their size, the two cities of Erlangen and Delft contain large numbers of students. Almost 40,000 students are registered at FAU Erlangen-Nuremberg, ca. 2/3 in Erlangen study in Erlangen, the others in Nuremberg. In addition to its large student population, Erlangen is home to Siemens, a major employer which provides more than 25,000 jobs in and around the city of Erlangen (and 45,000 in the Nuremberg metropolitan region). Recent plans to relocate some of the Siemens operations in other parts of the city, and then to relocate parts of the university in areas vacated by Siemens, could have some significant impacts for land use and transport in the city. In the case of Delft, its position within the Randstad – the economic heart of the Netherlands – and its close proximity to larger cities such as the Hague and Rotterdam (10 and 15 kilometres away respectively) mean that development pressures are very high in the city and its surroundings. Although relatively small in size, secondary growth poles such as Erlangen and Delft (and also Cambridge – see earlier posts) are important drivers for urban and regional development. This is an interesting research agenda that we aim to pursue in future research projects.